Need Quality Milpitas CA Garage Door Repair & Installation? 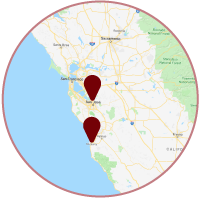 Aaron Overhead Door has a history of providing 5-star service, including Milpitas CA garage door repair & installation services. Our reviews below describe the quality work we’ve done in Milpitas CA. Excellent service, very friendly and competent! And fast! Excellent service, great value at a good price!